The following article was provided by Peter McCue who has a long standing and active interest in psychical research and the UFO phenomena. He worked for many years as a clinical psychologist and his qualifications include a Ph.D from the University of Glasgow - awarded for research on hypnosis. Peter has written numerous articles on anomalous phenomena and he remains open-minded about their nature. Scepticism is a matter of degree. At one end of the spectrum, there’s credulity, an unhealthy lack of scepticism; at the other end, there’s hyper-scepticism.1 Neither is a good qualification for the objective investigation of anomalous phenomena. In this article (which is based on a lecture given at the UFO DATA Magazine Conference in October 2008), I’ll discuss two cases of interest in connection with credulity and hyper-scepticism: one from West Sussex in southern England , and one from Utah in the USA . Both feature UFO sightings and other phenomena. Evidentially, the British case isn’t very strong, but it’s been treated with a degree of credulity by some commentators (for example, on the internet). The Utah case, though better substantiated, has attracted hyper-sceptical comments via book reviews. The reviews are interesting for what they indicate about the hyper-sceptical mindset. There are probably multiple paths into credulity and hyper-scepticism. With the former, for example, a ‘will to believe’ might triumph over critical thinking. On the other hand, someone – let’s call him Joe Bloggs – could become a hyper-sceptic simply by adopting the opinions of hyper-sceptical friends. If he allowed them to do his thinking for him, he might presume that all UFO cases were explicable in mundane terms and that there was no good evidence for paranormal phenomena. That would be naïve hyper-scepticism. Paradoxically, though, by uncritically accepting his friends’ hyper-sceptical ideas, Joe would be displaying credulity! Imagine, now, that Joe, the naïve hyper-sceptic, is confronted with evidence of truly enigmatic UFO activity. If he manages to ‘forget’ the evidence or convince himself that it’s of no significance, he’ll remain an arch-sceptic – but at the price of self-deception. I would call this delusional hyper-scepticism. By the same token, someone might resort to self-deception in order to neutralize the impact of information that challenged an emotionally-invested positive belief. Hyper-sceptics often resort to derision (examples are given below), and they tend to emphasize evidence that favours their side of the argument. Their descriptive language often has a prejudicial flavour (‘UFO craze’, ‘UFO mania’, ‘UFO mythology’, etc.). They ascribe the experiences of UFO witnesses to factors such as fantasy, misperception and misinterpretation, or they dismiss reports as deliberate fabrications (which some may, of course, be). Some hyper-sceptics describe themselves as adherents of the ‘psychosocial hypothesis’ (PSH), which contends that anomalous experiences are generated by psychological and cultural factors. Advocates of the PSH draw attention to parallels between UFO experiences and science fiction. Of course, with some people, science fiction might well foster a fascination with UFOs and ideas of alien visitation, which could result in their looking at the sky and mistaking aircraft, balloons, bright planets, etc., for alien spaceships. With particularly imaginative and suggestible individuals, cultural stereotypes influenced by science fiction might engender believed-in fantasies and pseudo-memories with a UFO or alien theme. But if some UFO experiences are choreographed paranormal events, it wouldn’t be surprising if they resembled science fiction and reflected contemporary preoccupations. UFO incidents often seem to involve paranormal phenomena (also known as psi phenomena), particularly in high strangeness and close encounter cases. But hyper-sceptics have little time for psi, although there’s a mass of evidence for its existence.3 My impression is that many hard-line UFO sceptics know little about parapsychology and have little or no interest in it. That may reflect an arrogant presumption that psi is impossible and that it’s not worth looking at the evidence. But with some hyper-sceptics, there could be an element of self-deception (‘denial’) about the reality of psi. Like the followers of a religious faith, hyper-sceptics tend to associate with one another. Some join organizations that specifically promote scepticism, which no doubt serves to reinforce their mindset. Similarly, people at the other end of the spectrum – credulous believers – also tend to associate with one another, which no doubt strengthens their beliefs. According to Walker ’s internet article, there was a spate of UFO sightings in the vicinity of Clapham in the mid-1960s; and The Demonic Connection describes more recent sightings. For example, in 1979, a man on a nearby hill allegedly saw a large orange ball-shaped object manoeuvring above the woods near Clapham church. It suddenly dropped vertically, and the witness saw it glowing among the trees. The police were reportedly contacted by several other witnesses. The Demonic Connection also refers to reports of UFO sightings in the vicinity of Cissbury Ring and Chanctonbury Ring (sites of ancient hill forts), which are about two miles and four miles, respectively, from Clapham Wood. The Demonic Connection states that in 1975, the Worthing press reported sudden disappearances and mysterious symptoms and illnesses involving dogs that were being exercised in Clapham Wood. The book refers to people having strange experiences in or near the woods. For example, several people allegedly felt themselves being pushed over by an invisible force while walking in part of the wood; and drivers reported feeling that their steering wheels were being pulled round in the direction of the woods while they were travelling along the nearby A27! Photographs taken in Clapham Wood have sometimes shown ‘orbs’ or misty images; and misty shapes have allegedly been seen there. The Demonic Connection states that visitors “have constantly remarked on the lack of wildlife and birds, birdsong seeming to be almost non-existent” (p. 20). The book refers to a group of five crop circles that appeared not far from Clapham Wood in late June 1985, and it mentions fires in the Clapham area. It states that drivers have often claimed that their engines have become temporarily faulty, or that their cars’ electrical circuits have behaved erratically, on a stretch of road near Clapham Wood. The Demonic Connection was first published in 1987, and it may be that fewer unusual incidents are reported nowadays. Indeed, a few years ago, Charles Walker informed me that things had been quieter there since the late 1980s. Black magic in Clapham Wood? According to The Demonic Connection, Charles Walker received a telephone call from a well-spoken man one evening in November 1978. The caller declined to give his name, but said that if Walker wanted to know what was going on in Clapham Wood, they should meet. The man suggested an assignation that very evening in the woods. Walker arrived at the designated place and paced up and down for a while. Then a voice, which he recognized as that of the telephone caller, addressed him from some bushes he was passing. In the spring of 1979, Walker entered a barn in the grounds of the (then) disused manor house near Clapham church. The west wall was covered with a mural featuring a horned headed figure with a scaly body, clutching what The Demonic Connection describes as “a sword and chalice, which is the ancient sign of a fertility cult” (p. 32). The book describes the backdrop as “vivid flames”. Walker photographed the mural, which he reportedly regarded as “proof of the secret cult’s existence” (p. 33). A few years later, Toyne Newton (one of the authors of The Demonic Connection) received an anonymous letter that purported to be from a friend of a disenchanted member of the Friends of Hecate.10 (A photograph of the letter appears in the 1987 edition of The Demonic Connection.) It said that the group met in Clapham Wood and in the barn near the church. The member had reportedly become “sick of it all”, especially the sacrifices. The letter alluded to human sacrifices, and implied that the group had been involved in the disappearance of a vicar (see below). At that point, Newton hadn’t yet cited the name ‘Friends of Hecate’ in a publication. But given that the letter named the group (spelling it as “the friends of Hekate”), Newton and his associates took this as confirmation that the informant had “first-hand knowledge.”11 But if details of Walker ’s meeting with an alleged initiate of the Friends of Hecate in 1978 had passed into circulation by word of mouth, someone could have used the name of the alleged group in a hoax letter. Another possibility is that the person who spoke to Walker in 1978 was himself a hoaxer, and that he or a confederate wrote the subsequent letter. The Demonic Connection suggests that the Friends of Hecate may have been responsible for the deaths of four named people whose bodies were found in the general area between 1972 and 1981. 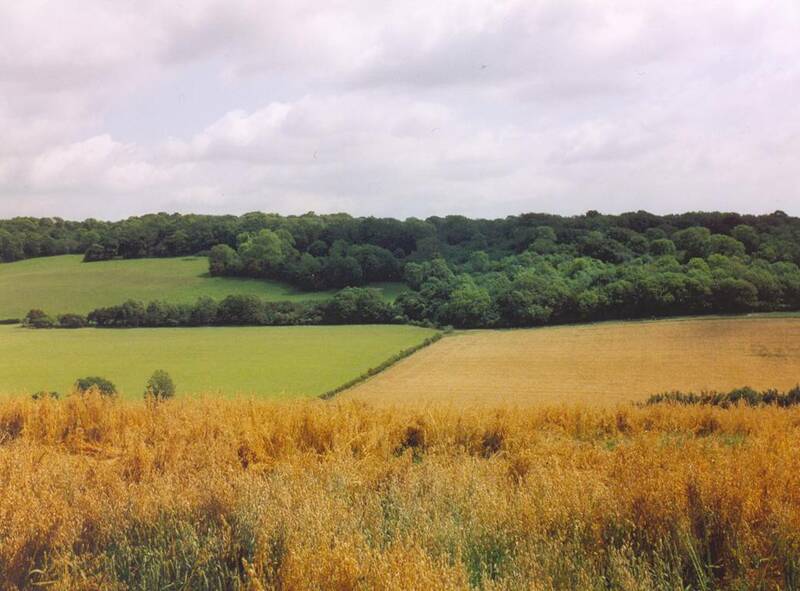 But only one of the bodies was found in Clapham Wood itself, the others being discovered some miles away. A retired vicar of Clapham and Patching was one of the deceased. He’d gone missing at the end of October 1978. His remains were found in 1981, a few miles from Clapham Wood. The cause of death wasn’t determined, and the coroner recorded an open verdict. Another of the deceased was a police constable called Peter Goldsmith. The Demonic Connection states that he’d been investigating the death of a young woman (unnamed) whose body was found about half a mile from where Goldsmith’s own body was subsequently found. The authors imply that this fifth person may also have been a victim of the Friends of Hecate. The Demonic Connection refers to a range of odd events and phenomena, which its authors seem to ascribe to the activities of a sinister occult group. However, the evidence they adduce for the existence of the group is rather sketchy; and although the authors speculate that the Friends of Hecate were responsible for some human deaths, no hard evidence for that is presented. In her critical review article, Jacqueline Simpson (op. cit.) points out that Walker and/or Newton could have faked events, although she notes that after discussing the matter with Walker himself, she is more inclined to think of him as the victim of a hoax than as a perpetrator. As noted above, Charles Walker photographed a mural in a barn near Clapham church. Drawing on information given to her by a local historian called Chris Hare, Simpson notes that “the barn […] had been taken over for a while by squatters, who had defaced it with graffiti” (op. cit., p. 105). Simpson has drawn my attention to similarities between the mural and an illustration on the cover of a paperback book, published in 1965, entitled The Dark World of Witches.12 Possibly, then, the illustration on the cover of the book inspired the production of the mural. The Demonic Connection doesn’t specify how many dogs went missing in Clapham Wood, and it cites only two cases. It may be that the actual rate of dog disappearances in the area was no higher than elsewhere. Even if a disproportionate number did vanish, it doesn’t necessarily follow that an occult group was responsible. Writing to me in 2006, Chris Hare related that local people he’d known believed that a gamekeeper had been responsible for killing dogs in the wood. Wikipedia is an internet-based encyclopaedia. Readers can edit its entries (i.e. add, delete, or modify material). It contains a short article entitled ‘Clapham Wood Mystery’.14 In June 2007, I added a paragraph, explaining that the claims about the wood had not gone unchallenged, and I referenced Jacqueline Simpson’s article and one of my own. But my paragraph was soon deleted! I made further attempts to add balance to the article. Again, though, my input was soon deleted. I can only assume that someone (or perhaps more than one person) didn’t want it to be known that there were grounds for questioning the story (myth?) about Clapham Wood. I wonder how many other Wikipedia articles have been quietly censored by people with an axe to grind! A book entitled Hunt for the Skinwalker discusses an interesting case in north-east Utah in the western United States.15 The authors are Dr Colm Kelleher, a biochemist, and George Knapp, who is an investigative journalist and TV anchorman in Nevada. The case concerns a ranch lying next to a Ute Native American reservation in the Uinta Basin . The region has a history of UFO sightings, cattle mutilations, and other anomalies; and the 480-acre ranch, which is reportedly located half way between Roosevelt and Vernal, is said to be the most active part of the area. In the religion and lore of the Native American tribes of the south-west USA , a ‘skinwalker’ is an evil, shape-shifting witch. 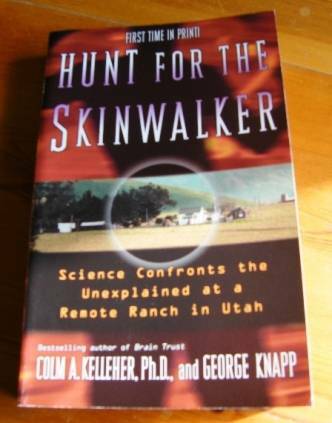 Kelleher and Knapp note that the ranch property has been declared off-limits to members of the Ute tribe, because it is said to lie “in the path of the skinwalker” – hence the figurative use of ‘skinwalker’ in the title of the book. But so as not to encourage intruders, the authors have desisted from specifying its precise location, although this information is apparently in the public domain. I’ll refer to it as the ‘Skinwalker Ranch’. The National Institute for Discovery Science (NIDS) was funded by the wealthy businessman Robert Bigelow and established to study anomalous phenomena. In 1996, Kelleher took up a post with NIDS. In the August of that year, NIDS bought the Skinwalker Ranch from its then owners, who are given the pseudonymous surname ‘Gorman’ in Kelleher and Knapp’s book. The Gormans (‘Tom’, ‘Ellen’ and their two children) had lived there for about two years and had reportedly experienced a succession of bizarre and harrowing events. On vacating the Skinwalker Ranch, the Gormans moved to a small ranch about 25 miles away. But NIDS hired Tom Gorman to manage the Skinwalker Ranch for them. If significant events occurred when NIDS personnel weren’t present, Gorman could contact the organization, and investigators could arrive on the scene relatively quickly. Before mentioning some of the manifestations that the NIDS investigators themselves experienced, I’ll cite a few examples of what the Gormans reportedly witnessed during their occupancy. The events then were generally more dramatic, and the family’s presence may have been a catalyst. Conversely, the subsequent presence of NIDS investigators may have partly inhibited the phenomena. Early in their occupancy, the Gormans reportedly encountered a very large wolf-like creature, which attacked a calf. Despite being kicked, hit with a baseball bat, and then shot several times, the strange animal showed no signs of distress. It trotted away. Tom Gorman and his son followed it. They eventually lost sight of the creature, but were able to follow its tracks. But the tracks suddenly stopped, as if the animal had vanished into thin air. The family were troubled by poltergeist-type incidents in which objects went missing. For example, Ellen Gorman would leave a kitchen utensil on the counter, go outside briefly, and then return to find it gone, although it would later turn up somewhere unexpected. UFOs of different types were seen, including blue orbs. On one occasion, three of Tom Gorman’s dogs chased after an orb, which appeared to be intentionally teasing the enraged animals. The dogs followed it into a copse. The next day, Gorman found the dogs’ incinerated remains in a clearing there. At times, cattle were found mutilated. Other animals simply disappeared and weren’t seen again. For instance, a breeding cow went missing during the winter of 1994/5. Tom Gorman found tracks in the snow and followed them, but they suddenly stopped, with no sign of the cow. During the early months of NIDS’ ownership of the ranch, dozens of tape-recorded interviews were conducted with local residents concerning strange events that had occurred near the property over the years. However, relatively little was experienced by the NIDS researchers themselves during this early period – the book mentions just two UFO sightings. The first occurred one night in September 1996, when an unusual light was seen by team members and Tom Gorman. The second sighting was in November of that year. Colm Kelleher and a colleague were looking at the night sky from the ranch when they saw a silent, bright yellow light appear from over a ridge. It moved as fast as a high-speed jet aircraft, circled over them, and then zoomed back over the ridge. Kelleher took a couple of photographs, but they showed only a dimly visible, blurry light. There were numerous incidents between March and August 1997; and between June and August of that year, phenomena reportedly occurred whenever scientific personnel were present. For example, one night in late August, two NIDS colleagues saw an area of yellow light. Looking at it through state-of-the-art night-vision binoculars, one of them saw what appeared to be a tunnel suspended a couple of feet above the ground. He saw a black, faceless creature crawl out of it and walk away! His companion without the night-vision binoculars saw only an area of yellow light that got brighter and larger and then got smaller and less intense. He took photographs. A very faint, blurry light appeared in one, but there was nothing on the rest of the roll of film. Incidents also occurred when NIDS personnel weren’t present. For example, in March 1997, a newborn calf was found mutilated. Its internal organs had gone and there was no sign of blood. Another incident occurred in early April 1997, when Ellen Gorman made a rare visit to the ranch. As she and her husband passed a corral containing four bulls, she remarked that she would go out of her mind if she lost any of them.17 Forty-five minutes later, the couple found the corral empty. But shortly after, Tom Gorman discovered the bulls crammed into a trailer, although there was no entrance to it from the corral, except by a tightly locked door. In 2006, a seven-paragraph review of Hunt for the Skinwalker appeared in Magonia, a small-circulation British magazine with very sceptical leanings.18 The review, written by a Peter Rogerson, mockingly states that: “Kelleher is clearly well qualified to investigate [the] goings on, as he has a PhD in microbiology, obviously just what you need to hunt boggarts on a remote farm.” Arguably, though, Kelleher’s biological science background was relevant to the investigations, since the phenomena included animal deaths and mutilations. Also, contrary to what Rogerson asserts, Kelleher’s Ph.D. was in biochemistry, not microbiology. Derision comes through elsewhere in Rogerson’s review. For example, he states that the property was sold to a “group of ‘scientists’ ”. By placing the word scientists in inverted commas, he’s clearly questioning their authenticity or their adherence to the precepts of science. However, Rogerson seems to be operating on the hyper-sceptical assumption that paranormal phenomena simply don’t occur. Judged in that light, it’s not surprising that he has difficulty in believing what the book describes. Rogerson complains that there are no photographs or illustrations in the book; he asserts that “no evidence of any kind is presented” (it seems that he doesn’t count witness testimony as evidence! ); he mocks the fact that Kelleher is the only named NIDS investigator; and he describes NIDS as “a shadowy organization”. He considers the possibility that Tom Gorman hoaxed phenomena, but thinks it more likely that the case entailed “dramatic overselling of […] spooky stories” concerning the ranch. The one possibility that he doesn’t seem to want to take seriously is that the phenomena may have occurred as described! “[Barnes] says the story of the ranch resembles ‘a fairly successful disinformation campaign’, something that ‘many have already suspected’. Many? Who are these ‘many’? […] Has even one of ‘the many’ actually been to the ranch, talked to any of the dozens of witnesses, seen any of the photos, interviewed any of the scientists or lawmen or neighbors or anyone? Of course not. What kind of a slimy, cowardly, unfounded potshot is that? “The insinuation that this is a disinformation campaign is false, ridiculous, and close to slanderous. I’ve been a journalist for 25 years and do not appreciate having my professional integrity impugned by some chip-on-his-shoulder jerkwad who doesn’t know me at all, doesn’t know the scientists who toiled for so many years on this, and who didn’t even read the damned book [carefully enough]. The events that unfolded at the ranch and in the surrounding basin have been underway for decades, perhaps centuries. Thousands of eyewitnesses have seen the various phenomena. That would be one hell of a disinformation campaign, to keep a hoax going for that much time over such a large area. 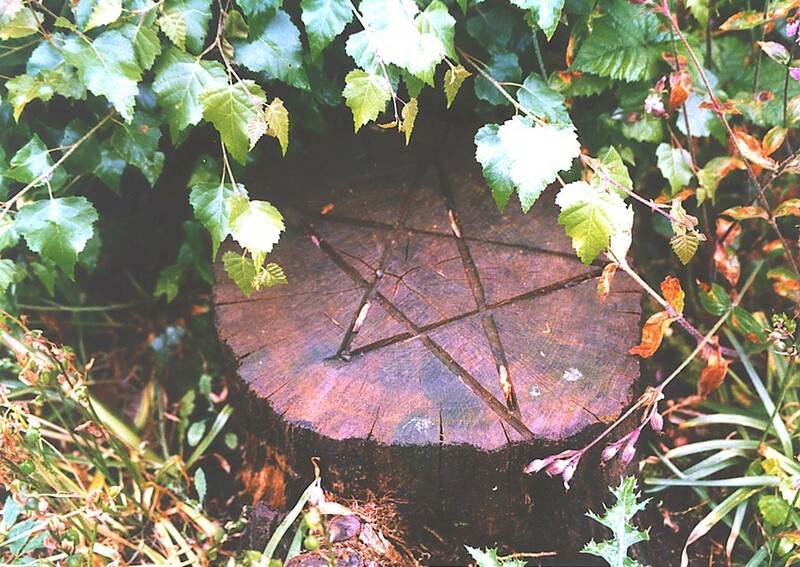 I have serious doubts about the notion, promoted in The Demonic Connection and elsewhere, that the Clapham Wood area has been a hotspot for a wide range of strange phenomena related to the activities of an occult group. The various incidents (assuming they’ve been reported accurately) may have had disparate causes. For instance, there may have been no underlying connection between the alleged UFO sightings and the odd feelings that people have reportedly experienced in Clapham Wood. However, I don’t discount the possibility that some paranormal phenomena may have occurred in the area over the years. I’ve never been to Utah , and I don’t know the precise location of the Skinwalker Ranch. And I’ve never met, or spoken to, the Gormans or any of the other witnesses mentioned in Hunt for the Skinwalker. Accordingly, I can’t make authoritative pronouncements on the case. But I believe that the negative and mocking comments of Rogerson and Barnes add nothing to its understanding. Their particular remarks have probably had only a very limited circulation. But on a broader scale, unchallenged hyper-sceptical comments could be damaging. If witnesses anticipate that they’ll be lampooned by hyper-sceptics, they might refrain from reporting their experiences. And if scientists anticipate unjustified derision for looking into UFO phenomena and other anomalies, they might avoid such research areas. In other words, as well as being unscientific in principle, hyper-scepticism might have the effect of limiting scientific enquiry itself. However, I’m not calling for censorship. Hyper-sceptics should be allowed their say. But people from a moderate position on the spectrum of scepticism should also speak out, since the true spirit of science lies with them. I’m grateful to George Knapp for allowing me to quote from his comments on J. E. Barnes’ book review. 1 Hyper-sceptics are sometimes referred to as ‘debunkers’, but such usage is problematic. The Concise Oxford Dictionary gives the following definitions of the verb ‘debunk’: “[to] show the good reputation or aspirations of (a person, institution, etc.) to be spurious”; and “[to] expose the falseness of (a claim etc.)”. Clearly, in terms of these definitions, debunking entails revealing the truth, not mocking it or persuading people to disregard it. 2 Friedman, S. T. (2008). Flying Saucers and Science. Franklin Lakes , NJ: New Page Books. 3 Dean Radin’s books The Conscious Universe (New York: HarperCollins, 1997) and Entangled Minds ( New York : Paraview, 2006) discuss parapychological research. 4 Only one author, Toyne Newton, is named on the cover of the 1987 (hardback) edition (published by Blandford Press, London ), although the title page refers to “Toyne Newton with Charles Walker & Alan Brown” (my emphasis). However, all three names appear on both the cover and title page of a subsequent paperback edition, published by Badgers Books, Worthing , in 1993. 6 Simpson, J. (1994). Hecate in the primrose wood: The propagation of a rumour. Contemporary Legend, 4, 91-118. 7 McCue, P. A. (2005). Clapham Wood in West Sussex : A zone of strangeness? The Paranormal Review [a magazine of the Society for Psychical Research], 33, 11-18. 8 McCue, P. A. (2006). Clapham Wood: An afterword. The Paranormal Review, 40, 23-26. 9 Hecate (or Hekate) is a mythical Greek goddess. 10 The Demonic Connection doesn’t specify the year in which the letter was received, but on p. 13 of his book The Dark Worship (Vega, London , 2002), Toyne Newton indicates that it was 1982. 11 By “first-hand knowledge”, the authors of The Demonic Connection appear to mean that the anonymous letter-writer was personally acquainted with a member of the Friends of Hecate, not that the letter-writer him- or herself was a member of the group. 12 Maple, E. (1965). The Dark World of Witches. London : Pan Books. 13 Hare, C. (1987). The Clapham Woods mystery. [ Worthing ] Weekend Review, 9th May, 18-19. 16 In his interesting book UFO Danger Zone (Horus House Press, Madison, Wisconsin, 1996), the late Bob Pratt refers to two informants – a hunter in Texas and a truck driver in Brazil – who had reportedly seen ‘windows’ appear in the night sky. 17 On p. 91 of the book, the authors indicate that NIDS purchased a few dozen cows and Tom Gorman kept some of his own animals on the property, to be used as bait. 18 Until recently, the book review was available on the internet. I believe that it appeared in issue 92 of the magazine, dated June 2006.